Lost Lagoon 2: Cursed & Forgotten is rated 3.4 out of 5 by 43. Rated 5 out of 5 by Glasscats from Great game! I didn't have the sound on, so can't comment on that. The graphics were very nice, although at times kind of cartoonish. I also had to click all over the place to match up items, although, overall it didn't take too long. I really loved the different HO scenes, the lists and the silhouettes. It's really a fun game, and relatively easy on the brain. 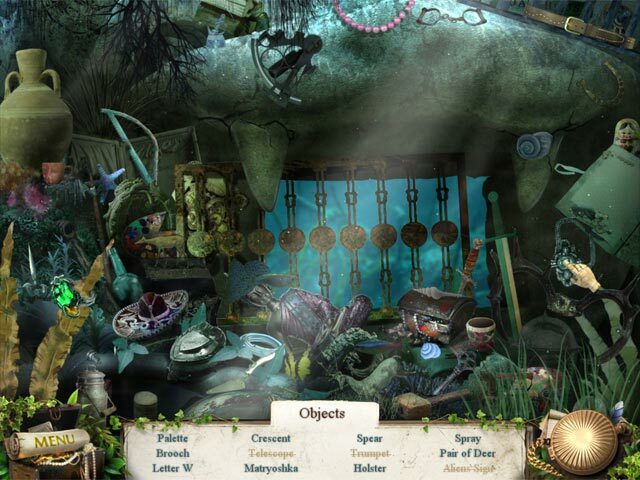 Rated 5 out of 5 by wingnut08 from Great sequel Hidden Object game As a sequel, Lost Lagoon2: Cursed and forgotten is an exciting hidden object game to play. graphics, sound, and challenge add to the mystery. If you have played the first Lost Lagoon, this game is a must to play. 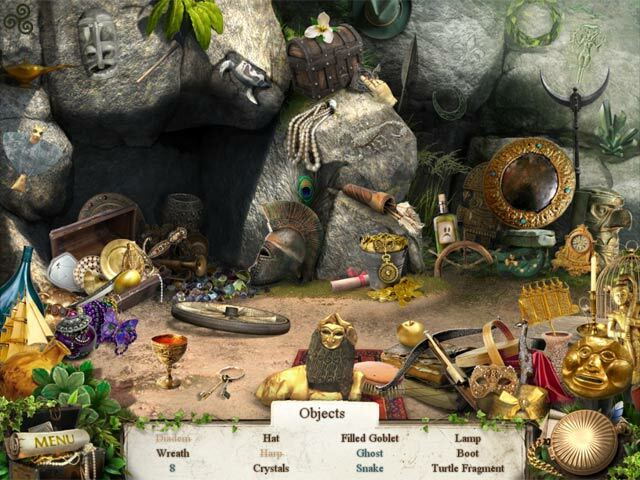 Rated 5 out of 5 by sno13wy from Interesting Hidden Object Game!... Loved that this was a long game ...and...I used a coupon so played for free! It felt almost like a CE game..I definitely recommend it. Hate when a game is over too quickly. Rated 5 out of 5 by tuliplady11 from Lost Lagoon2 a bunch of fun! This game is a gem and a nice break from all the darker games, that I love, but sometimes the brightness en lightness of a game gives you the relaxing fun and this is such a game. There is a lot of play value in terms of time and many unexpected turns. The HOS are interactive and the mini games are great fun and sometimes puzzling. I enjoyed it very much, kudos to the developers! 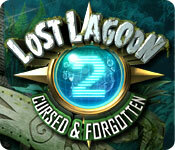 Rated 5 out of 5 by grandmaej from Lost Lagoon 2: Cursed & Forgotten Love this game. Is good challenge. Very good graphics. I love when the characters talk! Recommended. I cann't wait for the next one. Good job!! Rated 5 out of 5 by jcsgame from Tricky Game I like the way the game was segmented. I also liked the mix of "search by word" and "silhouette". Nice clear graphics and no gorse scenes. Music, I can't say anything about that; didn't listen to it. My one complaint is that the HINT system left a lot to be desired. It should have indicated which 2 items go together. The having to click on each item in a scene to discover who-went-with-who, was a pain. Maybe the developers will fix that situation in their next game. Rated 5 out of 5 by cuddlebugs from hidden object games i love any type of hidden object games wish there was alot more of them. 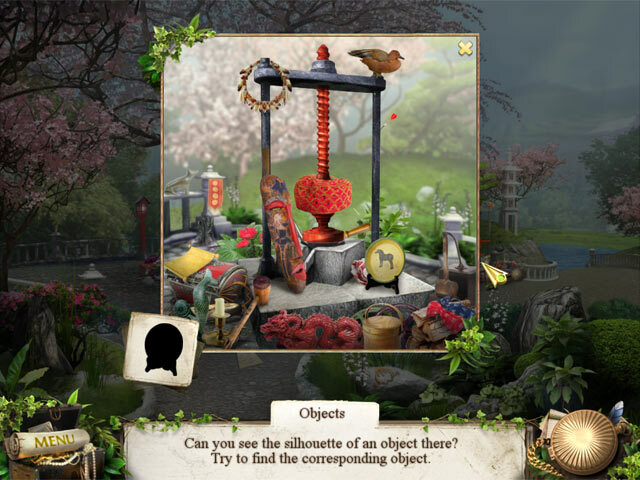 i have tried the other games and don't like them very much .But i find the challange of hidden objects more fun then anything. Rated 5 out of 5 by BellevueBob from lOST lAGOON 2 iF i REMEMBER CORRECTLY, LL 1 was a fun but challenging game,and I have found LL 2 to be a great followup/sequel . I am happy that I now own both !! After waking up on a mysterious island you find yourself cursed by powers beyond your understanding. Escape from the island before it’s too late!